Dr. Ercolino joined Wake Forest Pediatric Associates, PLLC in August 2001. Dr. Ercolino received his undergraduate degree and Doctorate of Medicine at the State University of New York in Buffalo. He successfully completed his Pediatric Residency training in 2000 at the University of North Carolina in Chapel Hill. Dr. Ercolino is a Board Certified Pediatrician and a Fellow of the American Academy of Pediatrics. Prior to joining Wake Forest Pediatrics Dr. Ercolino worked with Carolina Neonatology at the Neonatal Intensive Care at WakeMed in Raleigh. 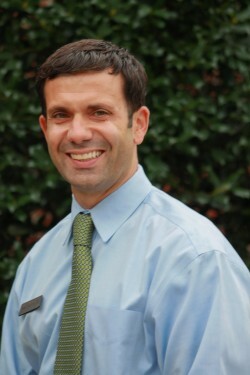 Dr. Ercolino lives in Raleigh with his wife, who is a Gynecologist, and three children. His clinical interests include Asthma & Allergies, Nutrition, and Prevention of Obesity. In Dr. Ercolino’s free time he enjoys outdoor and fitness activities, and spending time with his family.